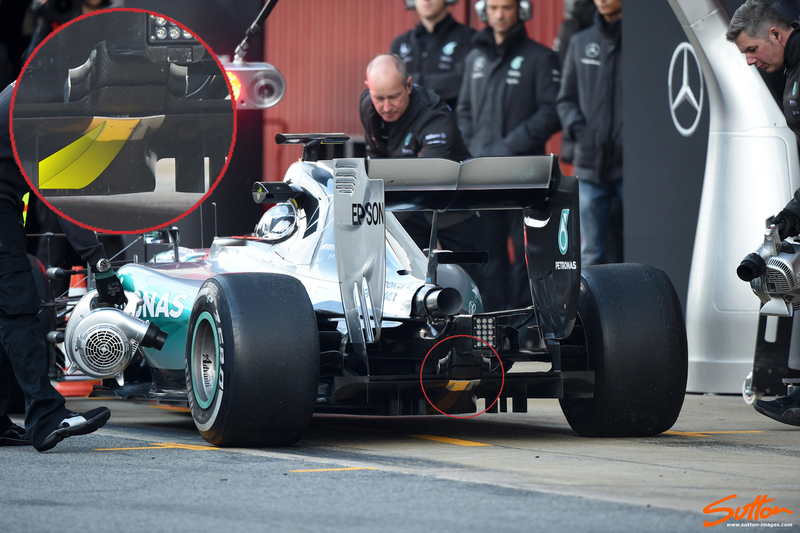 Mercedes have introduced a new diffuser for the last test here in Barcelona, with changes made to the central boat tail. 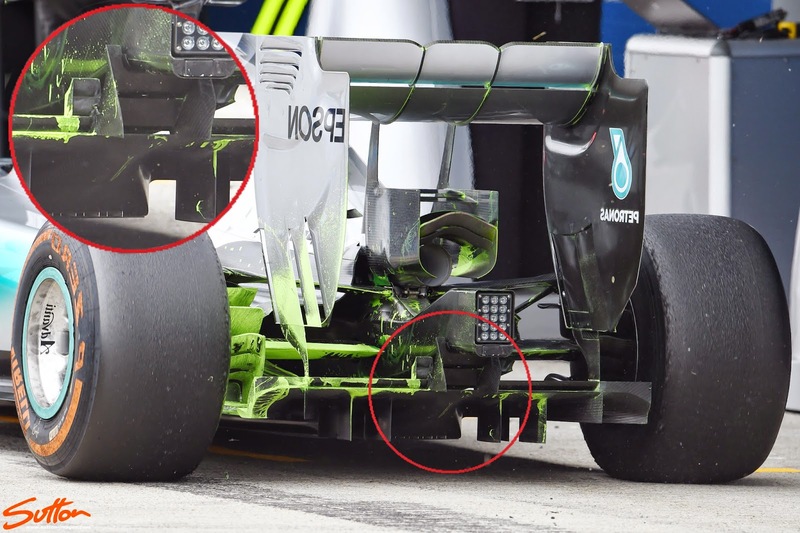 I've highlighted the contour changes on the diffuser in the inset above, which provide a different angle of attack to their previous, flatter configuration (below), likely in an effort to give better balance. You'll also note that the team have made changes to the Y100 region around the crash structure, changing both the ladder winglets and removing the longitudinal triangular strakes. Like the diffuser below the winglet and gurney are contoured to match the diffusers surface changes, whilst you'll note the upper of the ladder winglets also extends back over the floor section to further capture and use the airflow migrating under the crash structure.